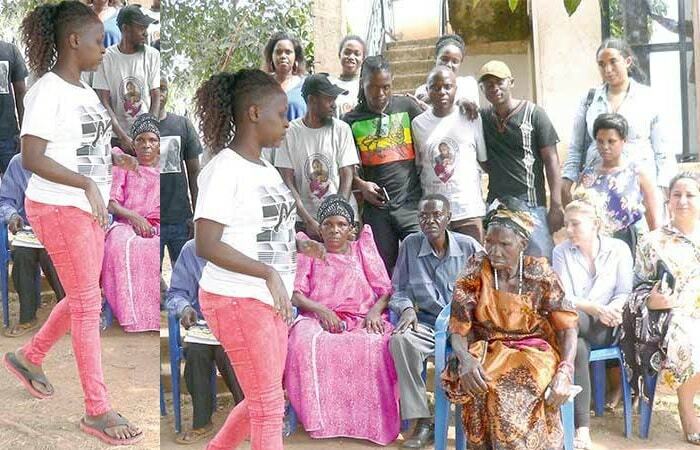 A family meeting was held at Nakawuka where Moze Radio was buried last week, it was attended by Weasel, the late Moze Radio's three widows (Lillian Mbabazi, Kellen and Jenipher Robinson), Moze Radio's mom and Chagga among others. At the meeting, it was resolved that the official children that the late singer had were 6 in total and all those who are claiming to have Moze Radio's children will be subjected to DNA tests. Earlier reports had indicated that the land where Moze Radio was buried belonged to Goodlyfe as a group, but Chagga was able to clarify that it solely belonged to Moze Radio. Weasel has decided to leave the Makindye based Neverland residence where he was staying with Moze Radio to try and recover, in fact, he will be going to Rwanda where he will stay for some time. The Makindye house is being guarded by security operatives. During the meeting, a man claiming to be the real biological father of Moze Radio came all the way from Fort Portal and he was pleading for forgiveness from Jane Kasubo (Moze Radio's) mom with claims that he was sorry for having not been there for him while he was alive, but they should allow him to take Moze Radio's body for burial in Fort Portal, he was chased. It was on that very day that socialite Bryan White came to pay his respects to the fallen singer after failing to make it last Saturday. True to his game, Bryan White assured Moze Radio's mom that he was going to complete the double storey house his son was constructing for her (construction is already underway), gave them a Super Custom ride to help in their mobility needs and, he is also constructing a grave house over Moze Radio's grave to ensure no one tampers with it. A woman was arrested half naked on the grave with herbs while singing Moze Radio's Bread and Butter song, she also claims the singer was he hubby, she has since been taken for a psychiatric check to ascertain whether she is of sound mind.